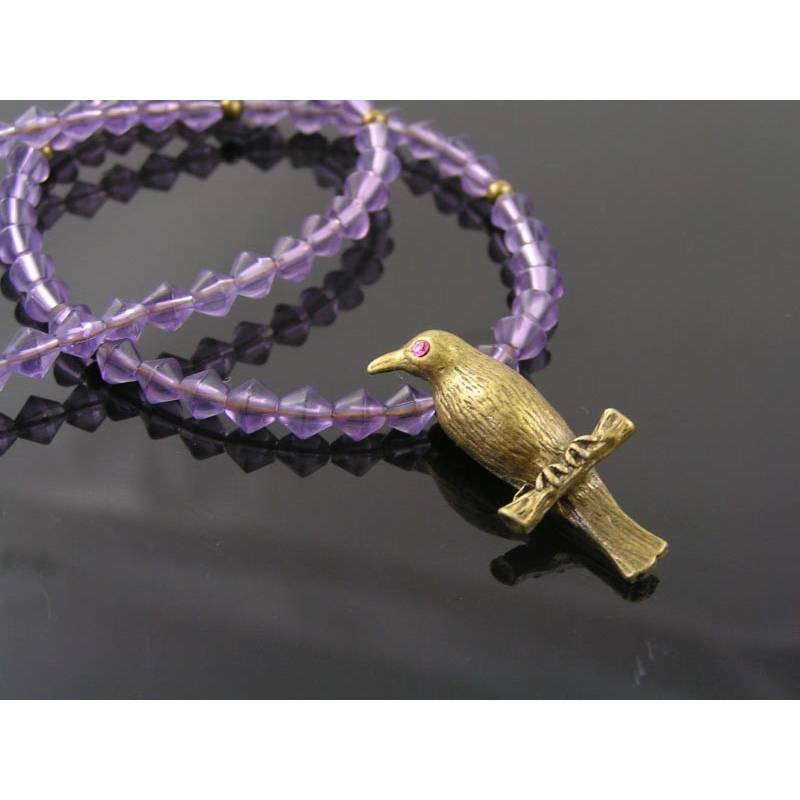 A purple bead necklace with solid raven pendant. The handsome raven is sitting on a short branch. The pendant is solid with good weight so that the necklace has a nice drape. 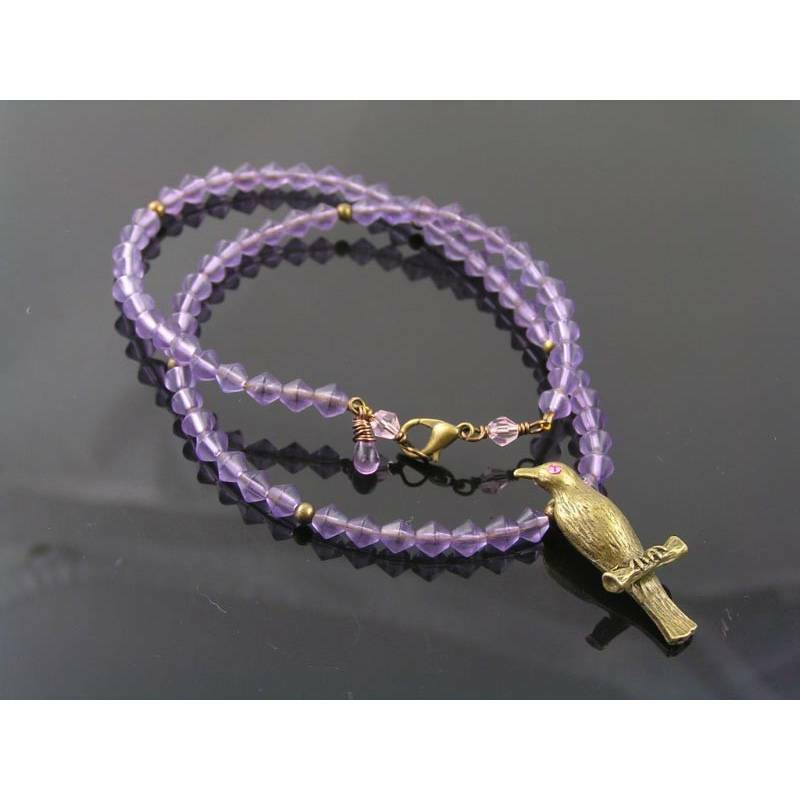 I gave her/him a glowing pink crystal eye to match with the purple beads I used for the necklace. The purple bicone shaped glass beads are interspersed with dark bronze metal beads, total length of the necklace is 45cm. 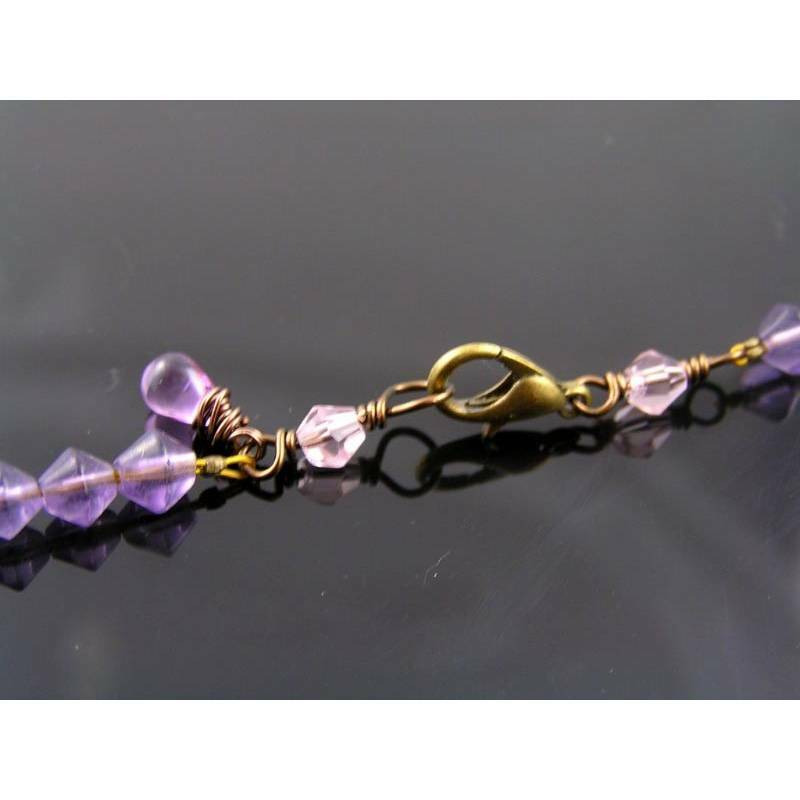 The necklace closes with a secure lobster claw clasp and is nicely finished with two pink crystal links and a wire wrapped small pink drop bead. 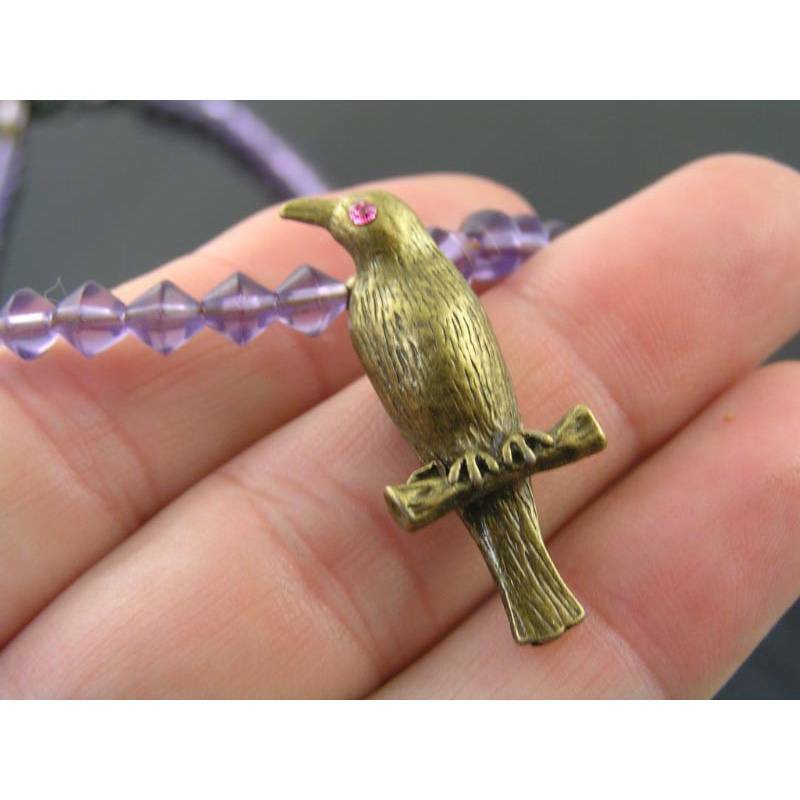 The raven pendant is solid with a good weight which gives the necklace a nice drape.